Hope you had a wonderful Christmas. I enjoyed the time with my family and am still coming down from all the food consumed over the weekend. I was such a slacker when it has come to this blog over the last couple of months. I was an even bigger slacker when it came to my holiday baking. I only made a few treats and helped my mom and sister make a few more. On top of that, I didn't even take photos of the goodies I DID make! However, most of the treats I made came from Pinterest so I thought I would feature them on here in case you are looking for a quick, sweet treat for any upcoming holiday gatherings. These Rolo cookies are super easy (4 ingredients) and are quite yummy. I'm wondering what they would taste like with Reese's Cups instead of Rolos...I do have a cake mix in the pantry! I even used Pinterest to find my OWN recipes, like these Sweet and Saltines candies! My sister and I made two trays of these treats - one with saltines and one with graham crackers. The saltine variety is the perfect combo of sweet and salty! This white chocolate-coated candy mix is my FAVORITE holiday treat EVER. It is super simple and delicious. I blame a co-worker for this next treat. We were sitting at our office holiday pitch-in lunch enjoying some of my white chocolate-coated candy mix when she mentioned that while she enjoyed the treat, puppy chow was her favorite snack mix. It looks like an ordinary bowl of puppy chow, right? Wrong! It is made with Nutella...the world's best spread! Better than that? It only had 6 ingredients and can be done in the microwave. There were other recipes on Pinterest for this mix but they were much more complicated and had ingredients that I didn't have on hand. I took the batch into work and shared. I took what was left to my family Christmas celebrations. I had to get it out of the house! Unfortunately, I had Rice Chex cereal leftover and just enough Nutella to make a half batch today. I may or may not be typing this post with powdered sugar on my fingers and a container of the stuff beside me on the couch. I'll never tell! I'm excited to be competing in A Latte With Ott, A's Iron Chef Challenge Bake-Off sponsored by Taste of Home. I'm competing against the other winners of previous Iron Chef Challenge's over on her blog. We were asked to create something new using Taste of Home's Cinnamon Raisin Bread recipe. Since I won a challenge making something for my dad, I decided to go with the same theme in this challenge. My dad loves bread pudding and my grandma would make it for him a couple times a year. So, I pulled out my folder with grandma's favorite recipes and used one of the loaves of Cinnamon Raisin Bread (we ate the other one straight out of the oven) to make bread pudding. Here's the final product. Yummy! First I took a loaf of the Cinnamon Raisin Bread that I had baked earlier in the week. And cut it up into bite-sized pieces. Then I put it into the oven at 200 degrees for about 20 minutes to dry it out. Then I added the chunks of bread to a mixture of 1/2 cup sugar, 1 teaspoon vanilla, 1 teaspoon cinnamon and - per my grandma's recipe - "enough milk to soak up bread"(I used about 2 cups) and stirred it together. I put the mixture into a large glass baking dish. Put it into a 375 degree oven. Grandma's recipe says to bake until brown and thick. I left mine in for about 45 minutes. I served it warm with some French vanilla Cool Whip. My dad enjoyed it, as did the rest of the family. Thanks to Taste of Home for sponsoring this challenge and Amy over at A Latte with Ott, A for hosting another great competition. Head over to her page to see what my competitors created. p.S. Amy will be posting all of our links tomorrow morning but I have to be at work super early and don't trust my scheduler to post this on time tomorrow...so mine is up a bit early. Since I can't sing AT ALL, I'm trying to find other ways to spread some Christmas cheer this year. I love giving presents...finding just the right gift for friends and family. I'm thinking of getting my friend, Leontien, a llama. She's a dairy farmer but she loves llamas. Not really sure what the story is behind her adoration for these long-necked spitting machines, but she does. Unfortunately, I'm not quite sure how to wrap a llama or if it would even fit into the trunk of my Corolla. Just think of the spit I'd have to clean up...yuck! So, I went to Heifer International's website and to see about buying a llama for a family in need. As a farmer who works hard to care for her animals, I think Leontien will appreciate the gift to Heifer International. As a lover of llamas, I think she will love that a woman somewhere in the world is receiving a llama in her honor. I love Heifer's mission, strategy and their history. Heifer's strategy is…To “Pass on the Gift.” As people share their animals’ offspring with others – along with their knowledge, resources, and skills – an expanding network of hope, dignity, and self-reliance is created that reaches around the globe. This simple idea of giving families a source of food rather than short-term relief caught on and has continued for over 65 years. Today, millions of families in 128 countries have been given the gifts of self-reliance and hope. What kind of nontraditional gifts are you giving this Christmas? I'd love to hear about them! Have you seen the new Muppets movie yet? If not, you are missing out on two hours of cheesy music numbers, hilarious celebrity cameos and the entire Muppets gang! 1. Jason Segel. I love him in How I Met Your Mother. Laughed myself silly watching him in Forgetting Sarah Marshall...vampire puppet musical was genius. He wrote and starred in the movie and his awkward dance numbers were worth the matinee price of this movie! I had tears in my eyes (from laughing) during the Muppet or Man song...not sure why but it cracked me up. 2. Celebrities Galore. I couldn't wait to see what celebrity was going to pop up next in this movie. Jason's HIMYF costar Neil Patrick Harris answered telethon phones with Whoopi, Selena and the kid from Modern Family. David Grohl was the drummer in the Moopets tribute band in Reno and Jack Black took his role as Animal's anger management sponsor seriously! 3. Great Music Numbers. There are some incredibly cheesy songs...it's the Muppets, what did you expect? But even my 4-year-old nephew turned to me and said "I like this song" during the Princesses of Poultry - Camilla and the Chickens version of Forget You! Listen for yourself and get some highlights of the movie. 4. Cheesy Lines. I love how the movie didn't take itself seriously. From the suggestion that rounding up the gang was taking too long so they should "use a montage" to gather the rest of the characters up to Fozzie questioning if a big explosion was in the budget to Kermit's call to President Carter and Molly Ringwald when looking for a host, I probably laughed more than my nephews did during the movie. 5. New storyline. Even though there were many nods to the past, there was actually a plot to the movie and it kept both the kids and adults in the theater engaged and entertained. My only disappointment...No "Pigs in Space" skit! Started my Christmas decorating this weekend...can't wait to deck out the top of my new china cabinet. I realized something as I unpacked the storage boxes. My love of snowmen may have gotten a bit out of hand. Not the greatest photo but as you can see I have A LOT of snowmen! I'm still working on the display on top of my china cabinet and if I like how it turns out, I'll post an "after" photo. In the meantime, I did get a bit crafty and put together this decoration. Not as good as the ones in the magazines or on Pinterest, but I like it. I also put up my Christmas tree this afternoon. As I was stringing the lights, I remembered why it's been 3 years since I last put up a tree. I HATE stringing lights! But once it was all lit up and the ornaments hung, I am glad I did it. So, how's your holiday decorating going? Are you finished? No started? My youngest niece is hanging out with me tomorrow. I thought this onesie would be appropriate for the visit. That's right...I tried one of the recipes that I pinned. For full disclosure, it isn't so much a recipe as an alternative cooking method of a favorite breakfast food. That's right...cinnamon rolls in the waffle maker. Just heat up your standard Belgian waffle maker and coat with some cooking spray. Grab a roll of basic cinnamon rolls from the fridge. Place a cinnamon roll on each of the sections and close the lid - pressing down lightly. Let them cook for 2 1/2 to 3 minutes and that's it. I liked them both and suggest you try them both ways! Maybe I'll try one of my pinned recipes with more than one ingredient next time. My favorite author is Gene Stratton-Porter. I'm not sure when I first read her book A Girl of the Limberlost but I do remember falling in love with it. I've read and re-read it many times over the years and even have the movie adaptation on VHS. Even though it is set in the early 1900s, the story centers around young Elnora and her bitter mother and even has a love story that probably fueled my enjoyment of a good romance novel to this day. When my mom realized how much I loved Gene Stratton-Porter and her books, she started giving me old copies of her books for my birthday and at Christmas. I even have a couple first editions in my collection. I have always loved decorating with these books and they have traveled with me from Massachusetts to Indiana and from my apartment to my condo over the years. Last weekend I tapped into my "crafty" side to showcase them in my new-to-me china cabinet. I think my "I'm going to get crafty" inspiration board on Pinterest inspired me! Most of my books don't have the original paper covers but the books themselves are so pretty, I never missed them. However, when I started moving the books around this weekend, I discovered the paper covers inside a couple of the books. They were colorful and interesting and I wanted to find a way to display them. In my closet, I found a couple of 8x10 frames and placed the covers on top of the mats and I think my "book cover art" project turned out very cool. I just love the copy on the book cover above. I love that Stratton-Porter's books center around rural America (often rural Indiana) and her A Daughter of the Land is another favorite of mine. I knew it was going to happen someday. I'm just too clumsy NOT to drop my phone at some point. I've had my iPhone for about two months now and have avoided any mishaps until yesterday. My beautiful, fragile phone slipped through my fingers and fell (in what felt like slow motion) to the cement (or is it concrete?) floor. I heard the clatter and saw something fly off the phone. I swear my heart stopped for just a second and then it started beating a mile a minute. The phone landed face down so I slowly bent down and picked it up...not wanting to turn it over and see the damage. Fortunately, the case lived up to its claim and absorbed the impact with NO damage to the phone itself. The piece I saw when the phone hit the floor came from the case itself and it's actually not too noticeable. I'm serious...my heart is still racing and I look kind of silly holding my phone to my ear with both hands. 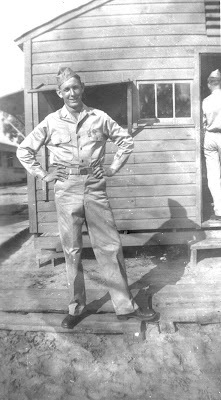 On this Veteran's Day, I want to pay tribute to all of the veterans out there who have unselfishly served our country. While so many of the veterans from the Greatest Generation have passed on, we need to remember that there is a whole new generation (really more than one) of veterans who deserve our respect, support and gratitude. Also, thank you to the men and women (and their families) who are actively serving our country. Thank you for all that you sacrifice to keep us safe. Every year I say I'm going to do something for the troops around the holidays but I admit, I have never done more than make a donation to the USO. This year I am committed to doing more and I think I have found a way to get it done. Indiana has a great program supported by our Lt. Governor called Hoosier Cheer for Our Heroes. It's a card and letter campaign designed to provide support and words of encouragement to our U.S. troops. I'm going to ask my nephews if they want to write a note or draw a picture to send to the troops. I think this would be a great opportunity to talk to them about giving back to others. Don't think you have the time to send a card? Don't worry...there's an even easier way to participate! enGreet, an Indianapolis-based online greeting card company, is supporting the effort by allowing anyone to use their website to personalize and send a card. Visit www.engreet.com. The cards ordered through this website will be printed and mailed for FREE! How cool is that? Here's the catch...you need to send your cards/notes or go online before Friday, November 18, to be sure your words of encouragement get to the troops in time for the holidays. Any other suggestions on how to thank our troops and their families this holiday season? 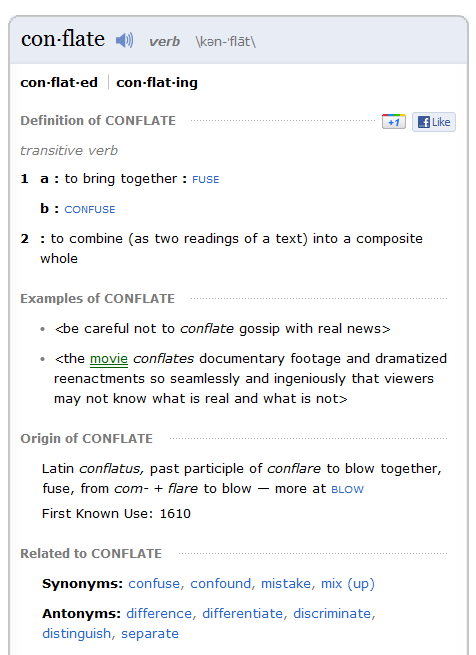 I know you are all DYING to know the definition of CONFLATE...right? According to Merriam-Webster, here it is. Now you can go about your day just a little bit smarter than you were yesterday! I've lacked the ability to get off the couch for anything other than going to the kitchen for a snack. However, it's a new week and I'm determined to take some steps to get back on track. In the meantime, I'm going to start a weekly to do list of household chores. Maybe writing them down and checking them off will provide the accountability that I obviously need. I live surrounded by clutter and I think if I tackle it slowly and methodically, I may just beat it! Third, I need to start eating better (more regularly and a bit healthier) and exercising in some sort of consistent manner. I can go a day with only drinking my morning Starbucks peppermint mocha (yes, I drink this ALL year round) and some water. This only leads to bad thing the next day...like headaches. I've actually started this one already by grabbing a bag of baby spinach the last time I hit the grocery store. I do NOT like salad at all except if it's a spinach salad and then I'm game. To keep the spinach from just sitting in the fridge, I also hard-boiled some eggs and cut them up, fried up some bacon and crumbled it AND bought some Craisins (thanks Ginny over at Gin & Juicy Juice for the inspiration) to keep on hand this week so I can easily whip up a salad for lunch or dinner. But it doesn't always help. Some of my friends are The Couch-to-5K Running Plan but I don't know if I want to start running...my pants aren't THAT tight!